Each year, millions of people suffer from allergies, and for some, the reaction is so severe that it has a major impact on their quality of life and daily activities. I suffer from allergies every year, and the severity varies from year to year. This year, my allergies have been quite “nasty”, despite the use of 2 large and relatively expensive HEPA filters/air purifiers. 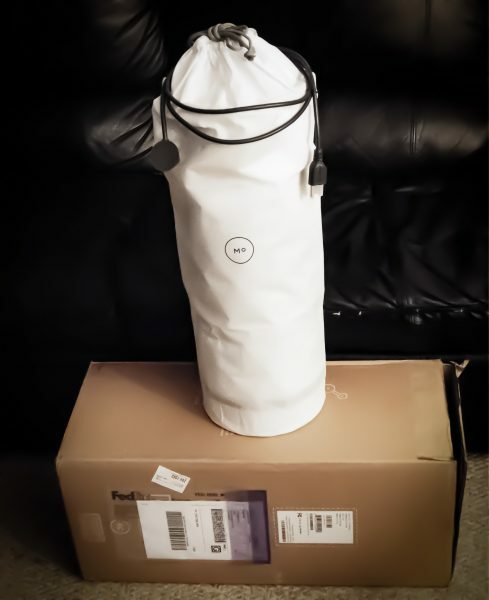 When I got the opportunity to test and review the Molekule air purifier, I was very eager to try a new solution. So, here we go!! 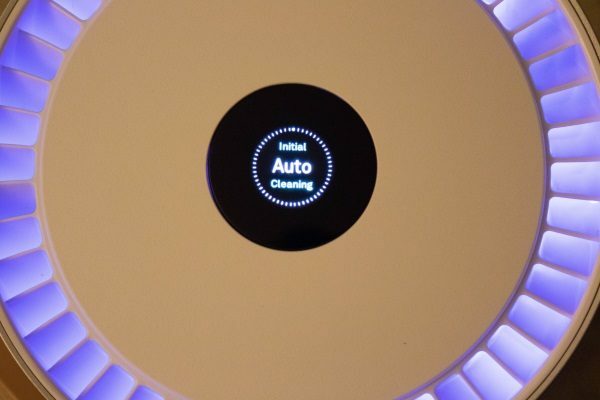 The Molekule Air Purifier is a new technology air purification system and experience, that has a clean and sophisticated look to match any décor. FILTER COST: Filters are provided on a subscription basis for $129 per year. 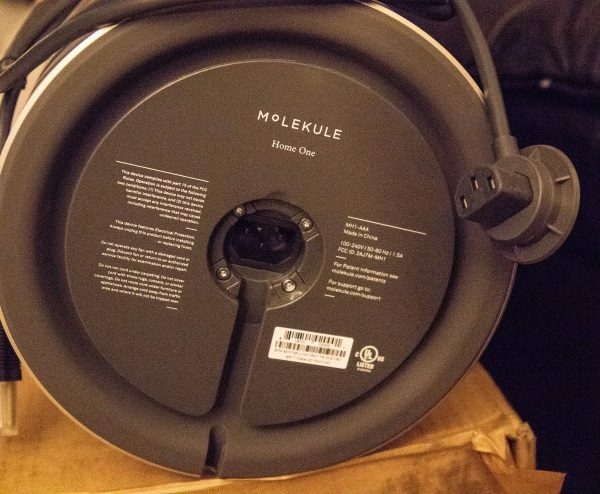 The Molekule comes with a detachable, grounded power cord that plugs in underneath the device, and by design does not allow it to be accidentally plugged out. You will also immediately notice the nice leather handle that is a great touch and makes it easy to move around. 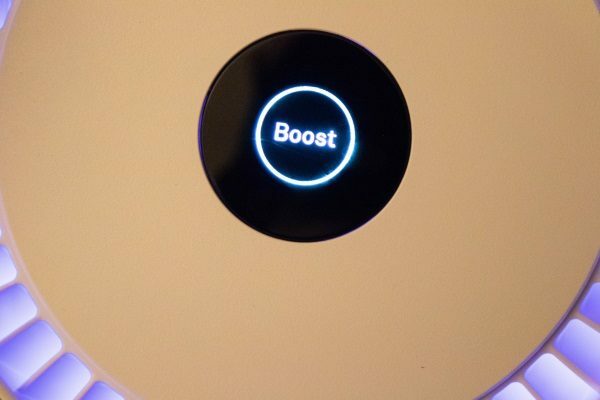 When you first power on the MoleKule, it goes through an initial startup process. Once that process is completed, you have the choice to select the room size. When you touch the screen to select the room size, it moves to the next screen that offers 3 choices of room sizes to select. The choice of 200-400sqft (square feet) was appropriate for me and was used for this test. Once you select the desired room size, the next screen that appears gives you the option to confirm or to go back and choose a different room size. 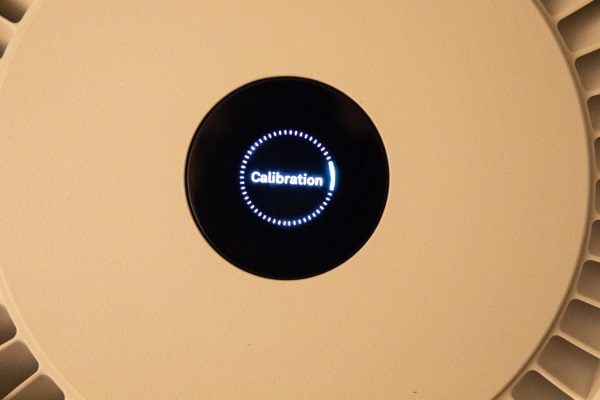 Once the room size is confirmed, the Molekule goes through a calibration process. 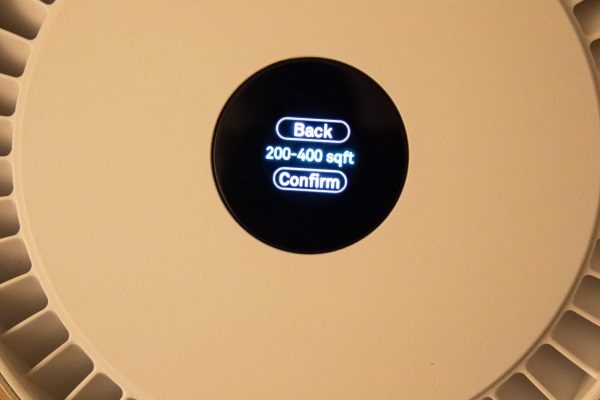 Once the calibration process is completed, there is then an initial “auto” cleaning process that may or may not be dependent on the size of the room selected. 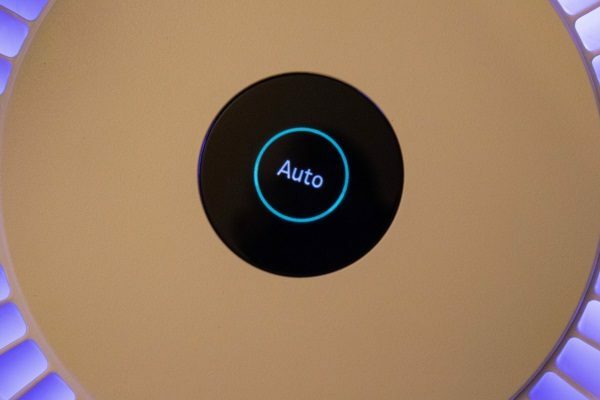 Once the initial “auto” cleaning process is done, the Molekule defaults to the “auto” mode. 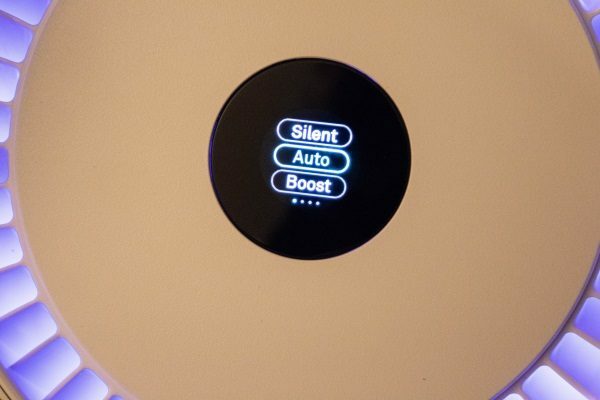 When you touch the screen, you have the option of two additional operational modes which are the silent mode, or the boost mode which is the most powerful, and loudest mode. 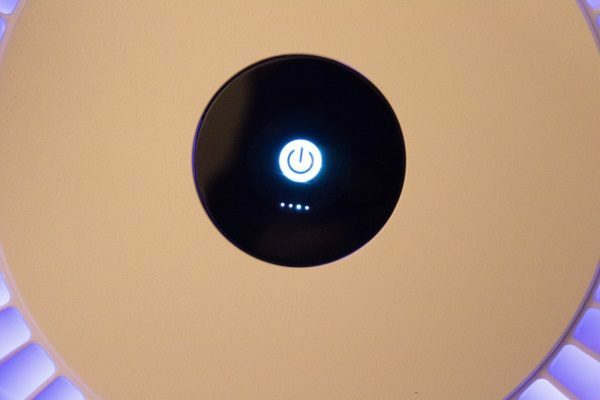 Swiping from right to left provides additional options to turn the surrounding blue LED light (nightlight) on or off, to change the mode, or to turn the Molekule off. “Molekule’s patented technology, Photo Electrochemical Oxidation (PECO), works at the molecular level to eliminate indoor air pollution”. It includes removable filters that can be regularly replaced via their subscription-based filter replacement program. 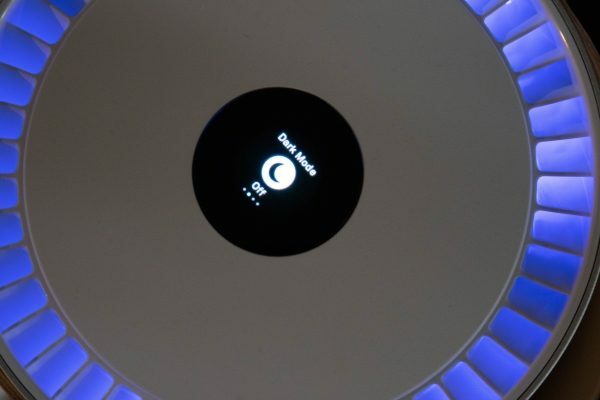 When I first tried this air purifier, I was immediately impressed. 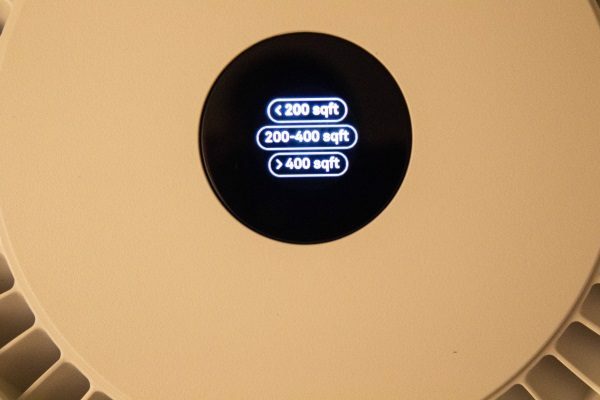 When I first turned it on, within an hour I began to notice a major difference in the severity of my ongoing allergies. I usually have allergy symptoms like itchy and watery eyes, stuffed up and runny nose, and sneezing. Not too long thereafter, I was no longer suffering from any allergy symptoms while in that room. After trying the unit for several days, I moved it from my room into my kids’ room. This year it seems that my son is suffering less from allergies, but my daughter is suffering severely. I placed the Molekule in their room for the night just before they went to bed, and both kids slept peacefully without waking up during the night for Albuterol treatments, which they have to take every 4 hours when their allergies are severe. What was more remarkable, was that shortly after moving to the kids’ room, my allergies became significant again. I decided to test this further, so I spent some time in the same room as the kids, and once again my symptoms disappeared. The Molekule operates well and relatively quiet no matter what mode it is in, although the “boost” mode does give off a low fan-like sound. 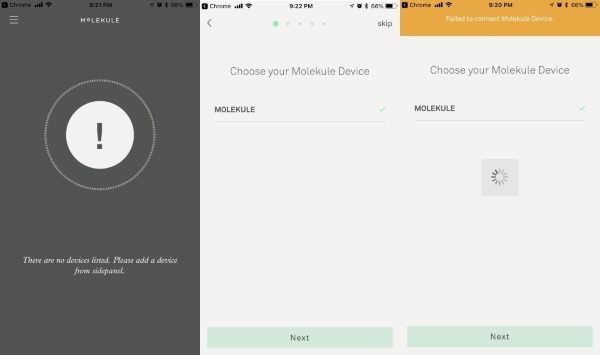 There is also an app that is available for both Android and ios that should allow you to control the Molekule, and monitor its performance. However, up to the time that I completed this review, I was unable to gain a successful connection despite carefully following the instructions. 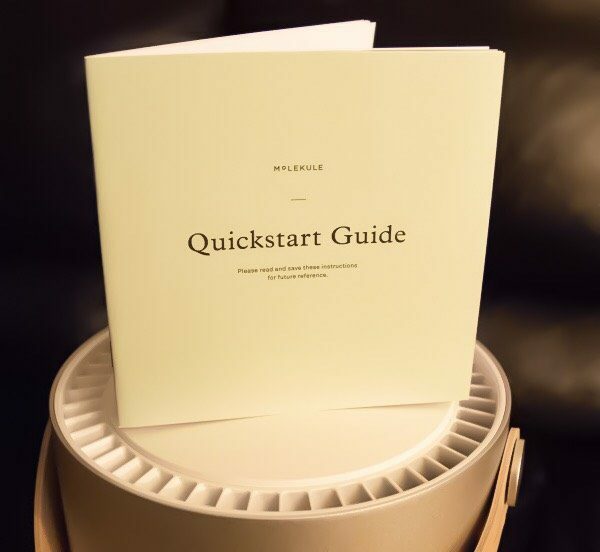 I do plan to write an update to this review when it is time to change the filters, and at that time I will document the process and comment on the continued consistency of its performance. I really like the design and finish of the Molekule and the choice of operational modes. I also love the fact that it has been super effective in relieving my allergy symptoms, as well as for my children. The Touchscreen operation is great, and the built-in handle makes it easy to move it from room to room. The main issue that I find that needs improvement is the app and the ability to connect to the Molekule. I have tried numerous times and was unsuccessful, and I eventually gave up since it has no impact on the great performance of the device. It might have even been a better idea not to include an app. When I checked the app reviews in the ios app store, other users had submitted the same complaint. 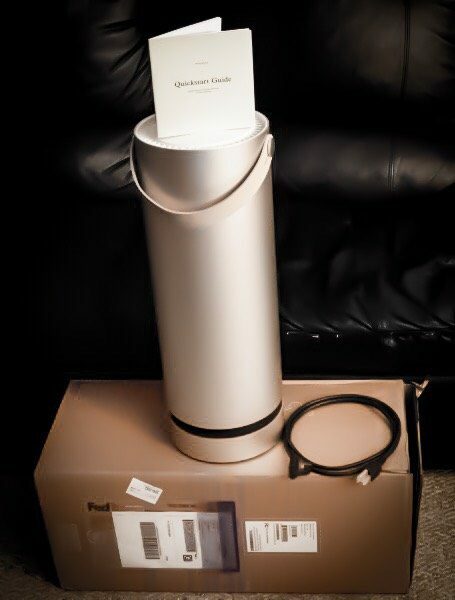 The Molekule Air Purifier is in my opinion, the best air purifier that I have ever tried. 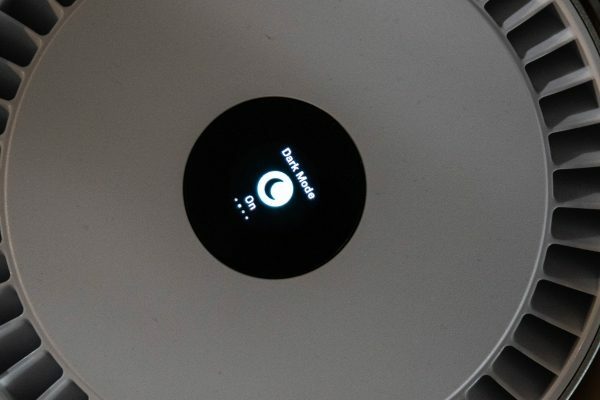 I have spent hundreds of dollars on air purifiers with Hepa filters, and on many other devices that turned out to be just gimmicks. While some of them helped my allergies, they ultimately failed to do so well enough that I felt satisfied. This air purifier has given me such relief when I am at home, that no one would even know that I suffer from chronic allergies. This has been the same result for my kids who have suffered from chronic allergies, and asthma as a result of the allergies. 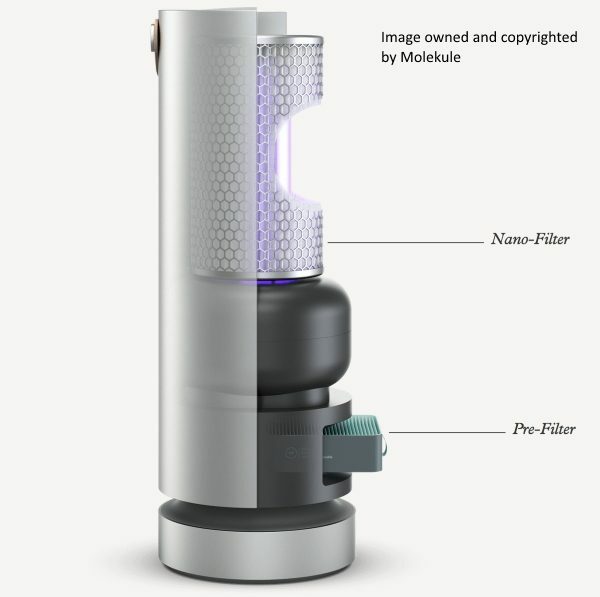 While the Molekule is much more expensive than any other air purifier that I have owned, it stands alone at the top of its class.